The Playbill at our first tour stop in New York! “Maria: When the first day of rehearsal at the Westchester Premier Theatre arrived there was an air of respectful anticipation backstage as everyone hurriedly prepared for the headliners as if history was in the making. We began to feel the weight of their celebrity. Was Frank in the building yet? Would Dean arrive first to break the mounting tension? I lingered around with the rest of the backstage workers to get a first peek. They both showed up for rehearsal in tuxes. Frank was a little more casual, he was wearing a black top coat instead of his tux jacket. They faced off onstage like two matadors in search of a bull. Our first rehearsal with the orchestra ended up like a private audition for Frank Sinatra. When we assembled on stage we were told Frank wanted to see our act—so we gave it our best shot. Would he like us? Well, he loved us. 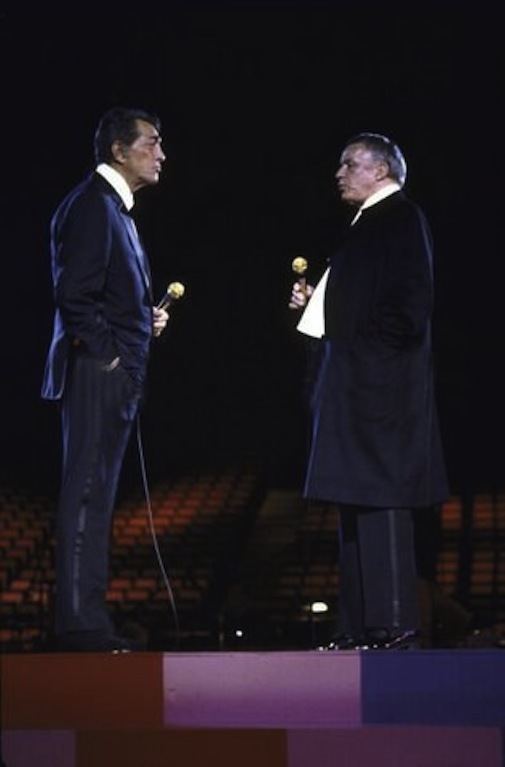 I never remember Dean or any other star asking to see our performance before the audience arrived so this revealed a lot about Frank Sinatra. 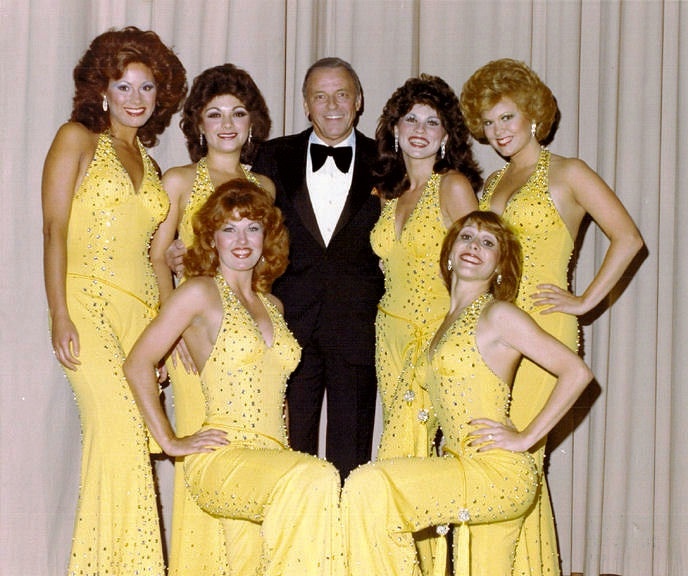 The Dean Martin Golddiggers with Frank Sinatra: Clockwise from the bottom are Robyn Whatley-Kahn, Maria Lauren (Alberici Sisters), Joyce Garro, Frank Sinatra, Patti Pivarnik-Gribow, Linda Eichberg (Alberici Sisters) and Peggy Gohl. The pre-curtain arrival of celebrities, including Gov. 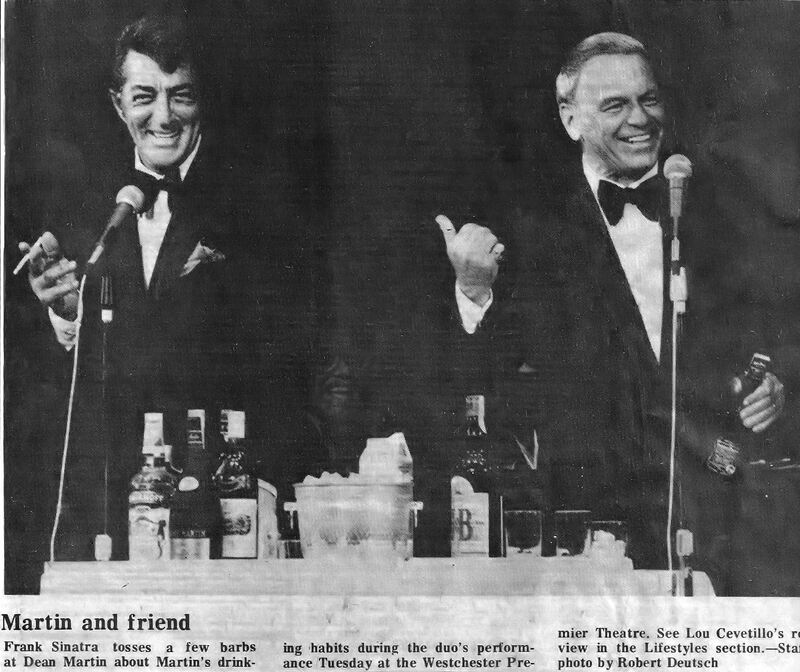 Carey, former New York City Mayor Robert Wagner and even the beautiful Barbara Marx Sinatra, caused a flurry of excitement in the crowded theater as they settled down in the first row center, but the real thunder of applause and shouts from the adoring fans came when first Mr. Martin appeared and swayed precariously through a number of songs and then Mr. Sinatra, who simply walked on stage as though strolling to the corner to mail a letter—and the roof seemed to fall in. © Copyright, Beyond Our Wildest Dreams, all rights reserved. 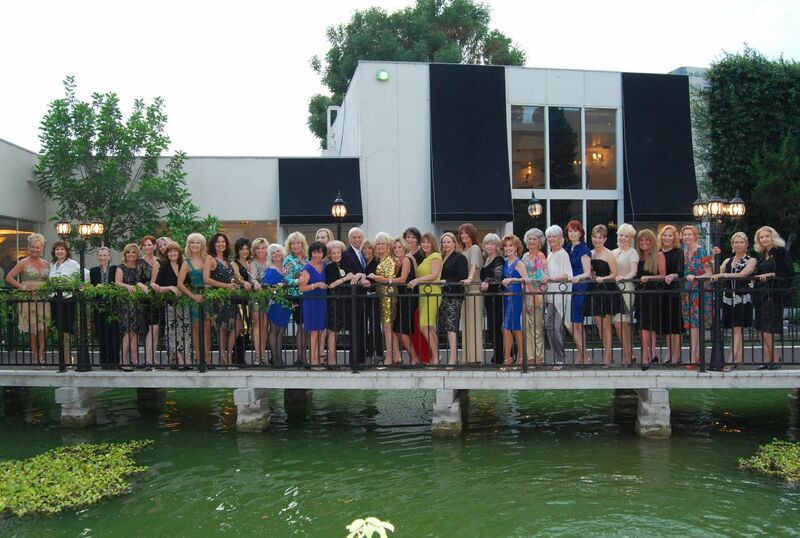 A highlight of 2013 was the “Gold Event”! 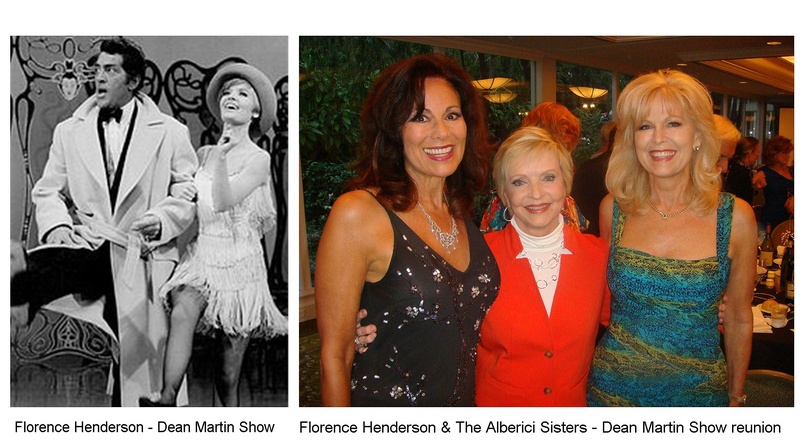 It was a reunion for those involved in the Dean Martin television shows and specials. 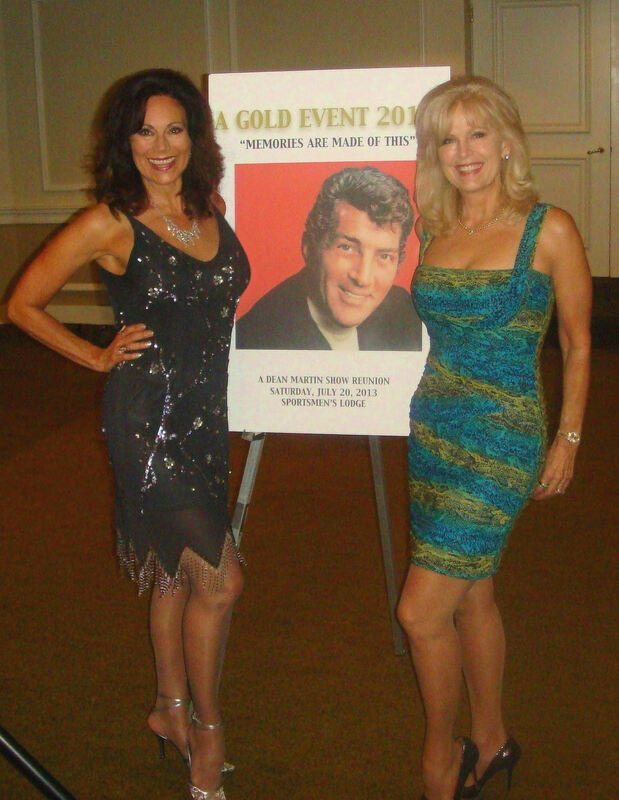 Over the years, we performed with a variety of gals as the Dean Martin Golddiggers, some of them we haven’t seen in years, so this was a wonderful way to celebrate along with celebrities and those who worked so diligently behind-the-scenes. 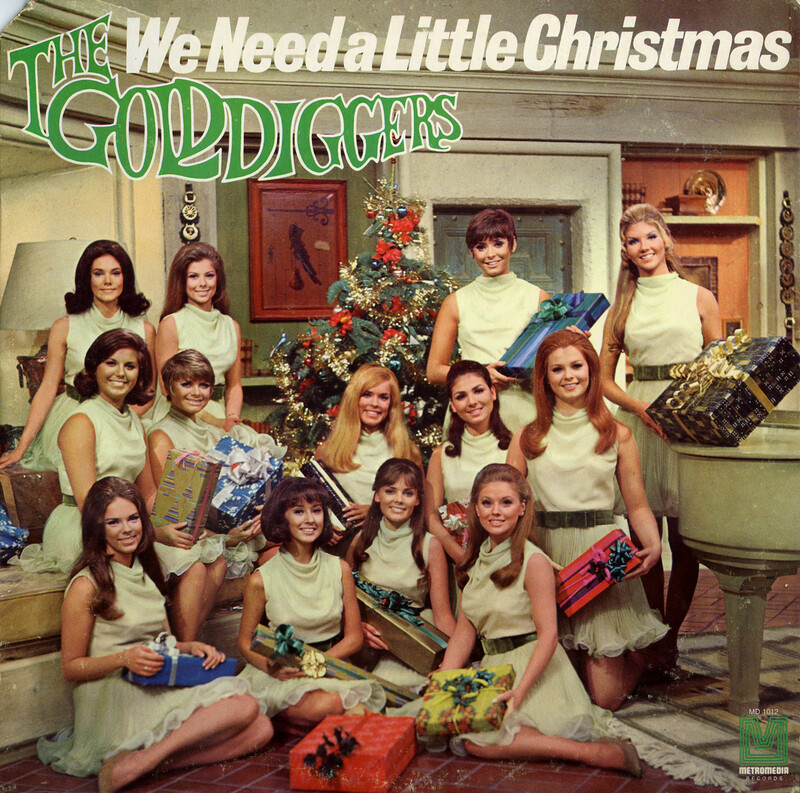 Lovely Ladies from all over America attended, representing several groups of “Golddiggers” from 1968 to 1991. We wish you a blessed Holiday season. 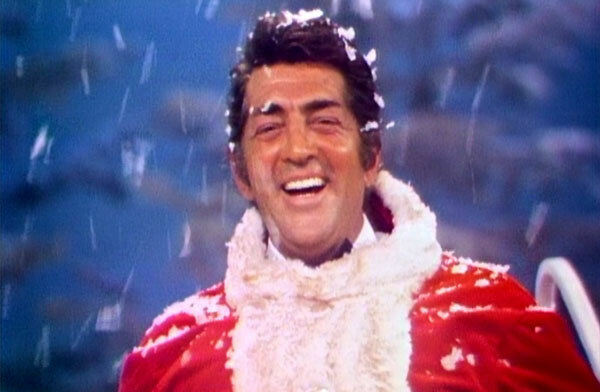 As we begin to celebrate the joys of Christmas, it is also sad to remember the passing of Dean Martin on Christmas day. However, this feeling is short lived as we remember our cherished moments with Dean. 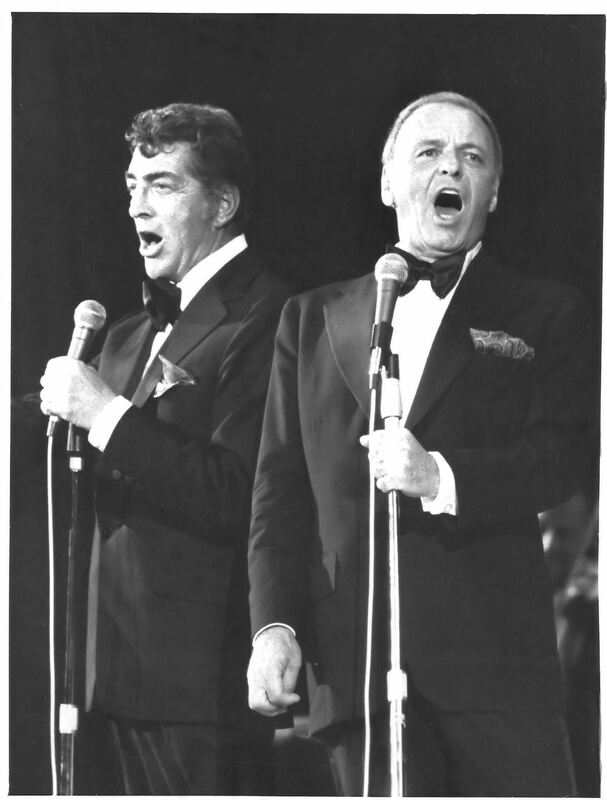 BEYOND OUR WILDEST DREAMS captures behind-the-scene stories at the Dean Martin Show and touring with superstars like Frank Sinatra, Louis Prima, Gene Kelly, Jerry Vale, Donald O’Connor, Steve & Eydie, Bob Hope, and so many more. Over 300 pictures! Exciting book selling on Amazon! Enjoy some laughs! 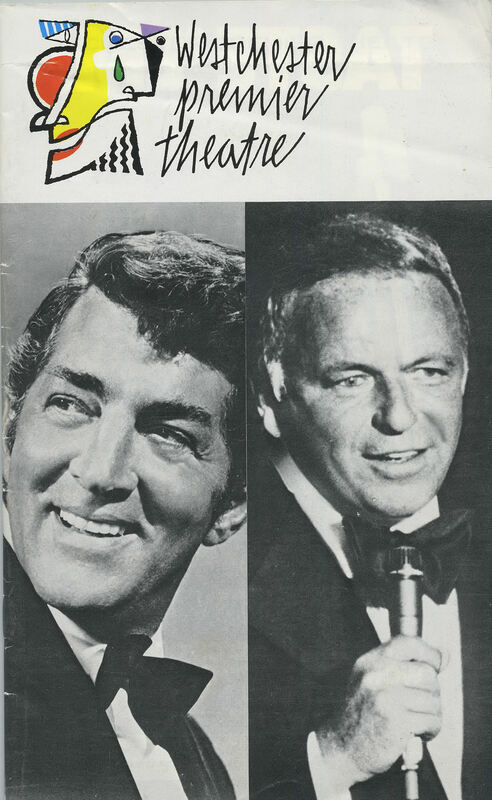 Dean Martin Roasts on YouTube!